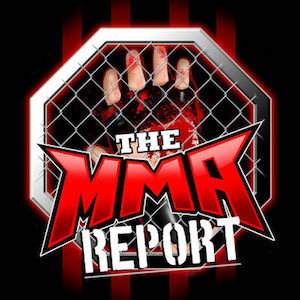 A lot of things have happened in MMA since last week’s podcast from Jon Jones receiving his sanction from USADA to Conor McGregor and Khabib Nurmagomedov taking part in a pre-fight press conference and Jason Floyd and Daniel Galvan give their opinions on all things MMA on this week’s The MMA Report. The guys get the show kicked off by discussing Jon Jones receiving a reduced sanction from USADA over his pre-fight drug test last July prior to his fight against Daniel Cormier. Jason and Daniel explained their surprise in this sanction, the comments made by Jones’ manager Malki Kawa earlier this week, and explain why Cormier should be nervous about Jones getting the matchup with Brock Lesnar over him. Then they get into what happened last Thursday in New York City at the UFC 229 press conference. From Conor McGregor doing his research on people in the Khabib Nurmagomedov camp to the promotion of McGregor’s whiskey, Jason and Daniel hit on multiple aspects of this press event. 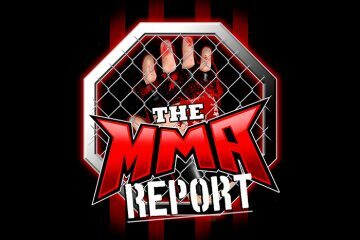 Up next, they recap what happened at UFC Sao Paulo and Bellator 205. Find out which performances on these fight cards stuck out to them and why they enjoyed watching both of these events. Following the recaps of those events, it’s the interview portion of this week’s show as Jason chats with Douglas Lima and Aaron Pico about their fights on Saturday night at Bellator 206. Upon the conclusion of the interviews, they preview Bellator 206 and wrap up the show by doing their weekly Buy/Sell segment. So basically 50 cent got millions of dollars from Viacom for absolutely nothing in return. 50 is a genius. He’s making Viacom/ Bellator look like fools. Nick Diaz vs Connor McGregor? Jones vs Gus 2? Mousasi vs Whitaker? Mac vs Lima 2? How are Fight Pass, Dazn, and ESPN+? I’m thinking of getting one of them. Which one do you think I should get? On the digital streaming platforms, it just depends on what you are looking for. For me, I would rank them ESPN+, Fight Pass and DAZN. On the fights you mentioned, I take you want to know who I would favor? 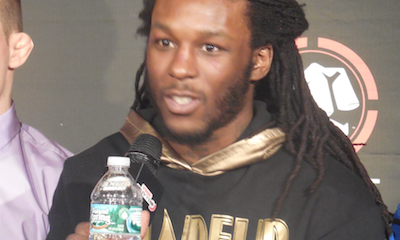 People are saying Bellator is paying 50 money for his Champange sponsorship. Shouldn’t it be the other way around? How does this partnership with 50 benefit Viacom/ Bellator? What do they get out of this? Without knowing the particulars of the partnership, this seems like to be like a marketing partnership where 50 Cent and his team will be helping in promoting the Bellator product. In the social media world, this is what “influencers” do to help grown someone digitally. Chandler vs Amosov? Lima vs Fitch? Woodley vs MacDonald 2? DC vs Gus 2? Minakov vs Mir? Shlemneko vs Lombard 2? Fedor vs Rampage? Chandler, Lima, Woodley, Cormier, Minakov, Shlemenko and Fedor. I still can’t believe Eddie Hearn’s Matchroom Boxing got 1 billion over 8 years. I feel like Bellator got screwed for only getting 100 million over 5 years. Bellator’s fights on Dazn are bigger and better than Matchroom Boxing’s. Imagine if Bellator got 1 billion over 8 years. They would be a serious threat for overtaking UFC as the biggest and best MMA promotion in the world. Bellator could sign any top 10-15 fighters they wanted to and buy a couple promotions. They could have 300 fighters under contract instead of always releasing fighters. Chandler vs Gaejthe? McGregor vs GSP? Askren vs Lima 2? Lesnar vs Cro Cop? Barnett vs kongo? Minakov vs Volkov 2? Alvarez vs Bendo? Bendo vs fitch? Minakov vs Kharitonov? Alvarez vs Pitbull 2? Chandler vs Alvarez 3? Pico vs Sanchez? Romero vs Gus? Alvarez vs Diaz? Chandler vs Brooks 3? Henderson, Minakov, Alvarez, Chandler, Sanchez, Gustafsson, Diaz, Chandler. If you’re Viacom would you rather buy Rizin and ACB or just ONE Championship? Which would make them seriously challenge UFC for the number 1 spot? I would not buy any of them, due to what you are buying. Basically, the reason you would want to buy them is the fighter contracts and I do not see the value in that. And buying those promotions is not going to put a dent into the market share difference between UFC and Bellator. If Viacom bought ONE they would not only buy it for the fighters. But also for the market share in Asia. So then they could own Hungary, Israel, Italy, UK, Ireland, and Asia. While those organizations have quality fighters, are those fighters going to move the needle in terms of viewership? Unlikely. From my view, Bellator does not need to buy another organization to lessen the gap between them and the UFC. Just keep adding fighters that people want to watch fight, build the young talent they are developing, and maintaining that talent once they reach the end of their contracts. If UFC adds 165 pound division that would be their 12th one. I hope Bellator adds 230 pound division. I wonder why no promotions have added the cruiser weight division, That’s the one that should be added next. If you are going to add a cruiserweight division, it would be 225 pounds, which is now in the unified rules. The reason that UFC and/or Bellator has not added a cruiserweight division is due to how it would effect heavyweight and light heavyweight. So 165 pound division wouldn’t affect the welterweight and lightweight divisions? And it’s only a 5 pound difference between 165/ 170. In the current Unified Rules of MMA, the weight classes go like this….